The business is run by Ian Campbell a web designer and marketer with over 20 years experience. Ian holds a Post Graduate Diploma in E-Commerce from the National College of Ireland in addition to a BBS in Marketing Management and is a Graduate of the Marketing Institute of Ireland, he also holds the internationally accredited CIW award as a Certified Internet Web Professional and is a CIW Certified Web Design and E-Commerce Specialist. Ian also has the Ad Words certification from Google. Ian undertakes consultancy work on behalf of clients who are either seeking an interim Marketing or Sales Director level of support for their business or as a WordPress Consultant for senior business leaders who are looking for expertise in aligning business goals with their online strategy. Ian has extensive experience in senior marketing & sales roles and has worked and developed campaigns for leading brands such as Lindemans, Rosemount, Montes, Cono Sur, Russian Standard and has worked across both the online, off trade and on trade sectors. 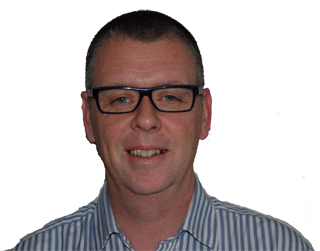 Ian posseses substancial experience in managing and re aligning sales teams to achieve optimal performance. The River Consultancy was set up in early 2012 to give small and medium business the opportunity to avail of commercial quality websites in a cost effective manner. The business has a big focus on our customers getting websites that add a new channel to their business and there is a strong focus on e-commerce development within the business. Today we work mainly with WordPress & Woo Commerce due to the flexibility it offers our clients & their business’s . We can both develop sites for your business or for larger projects act as a liaison & representative of the clients senior team to insure that business goal’s are translated in a meaningful way to the website development. For small business owners we now offer both on site and on line training in how to run and maintain their own WordPress website.